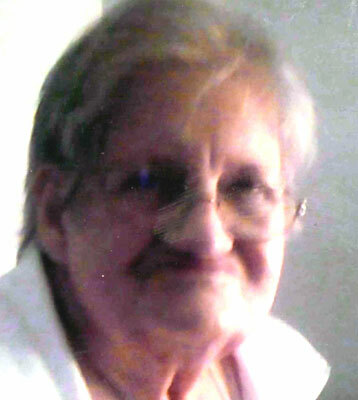 THERESA ''TERRY'' IRENE (WARFIELD) ANDERSON MASURY - Theresa “Terry” Irene (Warfield) Anderson, 87, passed away on Tuesday, Nov. 12, 2013. She was born on April 21, 1926, to the late Milton James and Gertrude M. Warfield in Youngstown. Terry was a graduate of South High School and worked at J.C. Penny’s as a customer clerk for over 20 years before retiring. She enjoyed sewing and her ceramics crafts, and she loved spending time with her family, especially her grandchildren, great-grandchildren, and great-great-grandchildren. Left to mourn Terry’s passing are her children, Edith (Phil) Jarome, Charles Anderson Jr., Kathleen Kopchak, Ruth (Bryan) Magazine, Roy (Mary) Anderson, Edward Anderson, and Mary (Fred) Slegel; her adopted son, Rodney (Henrietta) Lewis; her granddaughter and caregiver, Jennie (Jim) Peyatt and 21 other grandchildren; and countless great-grandchildren; and great-great-grandchildren. Terry was preceded in death by her husband, Charles E. Anderson; her son and daughter-in-law, William and Barbara Anderson; her son-in-law, Duane Kopchak; her parents, Milton and Gertrude (Metz) Warfield; her sisters Helen Barbieri, Mary Price, and Marilyn Warfield; and her brothers, William, Robert, James, and Edward Warfield; The family will receive friends from 4 to 7 p.m. at the Lane Family Funeral Homes, Austintown Chapel on Sunday, Nov. 17. A funeral service will be held at the Lane Funeral Home, Austintown Chapel on Monday, Nov. 18, at 11 a.m. Entombment will follow at Green Haven Memorial Gardens.